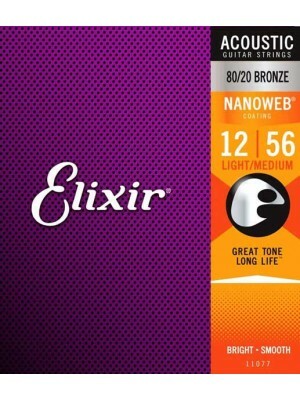 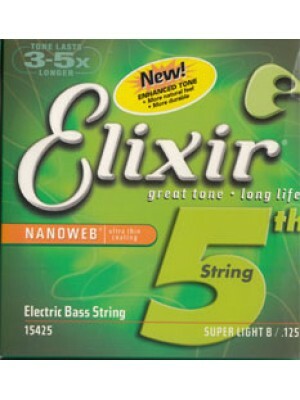 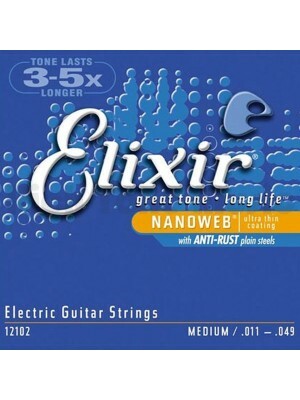 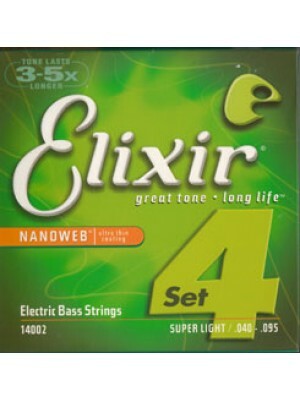 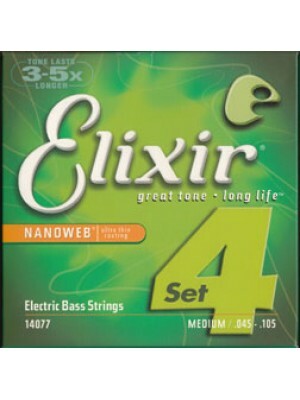 Elixir® Strings was founded in 1995 and are the pioneers of polymer coated strings. The basic idea: a microscopically thin, advanced polymer tube that surrounds the string to protect it from corrosion and dirt without making any contact whatsoever with the critical area between the windings where the "critical zone of tone" is found and each perfect note is born. 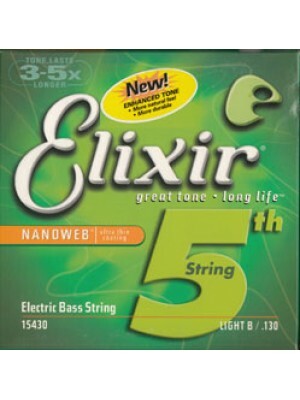 For these and many other reasons, Elixir Strings have struck a serious chord with musicians around the world. Whether you’re playing for yourself or for an arena packed with fans, players report their tone lasts longer than any other string, uncoated or coated. 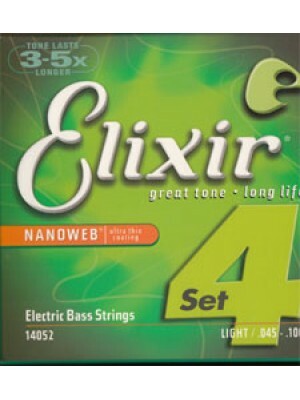 This means you buy fewer sets of strings, change them less often, and trust that your guitar is ready to go when you are. ﻿Elixir Strings with ultra thin NANOWEB coating...Sound great 3 to 5 times longer than ordinary stri..
﻿Elixir Strings with ultra thin NANOWEB coating...Sound great 3 to 5 times longer than ordinary str..
Elixir Optiweb Light Electric Guitar Strings 10-46 Elixir® Electric Nickel Plated Steel Strings..
Elixir Optiweb Light-Heavy Electric Guitar Strings 10-52 Elixir® Electric Nickel Plated Steel S..
Elixir Optiweb Medium Electric Guitar Strings 11-49 Elixir® Electric Nickel Plated Steel String..
Elixir Optiweb Super Light Electric Guitar Strings 9-42 Elixir® Electric Nickel Plated Steel St..
Electric Bass Nickel Plated Steel 4 string Foundation Low B String with NANOWEB® Coating for Bass T..
Electric Bass Nickel Plated Steel 4 string Foundation Low B String with NANOWEB® Coating for Bass Th..
﻿Electric Bass Nickel Plated Steel 4 string Foundation Set with NANOWEB® Coating for Bass The Nickel..